Last week I had the opportunity to sit down with several members of the local press to enjoy a combination anniversary/fall harvest dinner at Rosa Mexicano in downtown Minneapolis. The prepared dishes reflected the seasonality of many ingredients, several of which were sourced locally from Elk Rivers Riverside Farms. 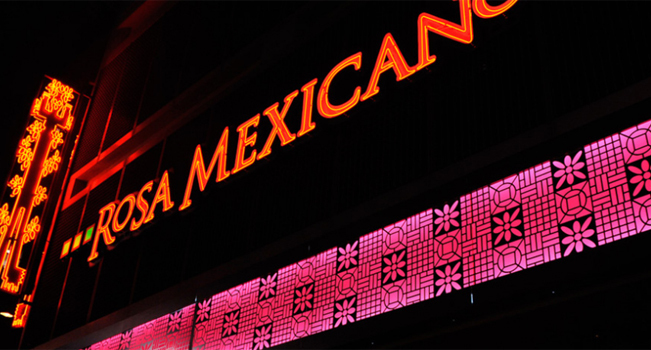 Rosa Mexicano is a national chain of restaurants that opened their doors here last year and they have obtained national celebrity chef Jonathon Waxman (Top Chef Masters Season 2) to help craft their menus. 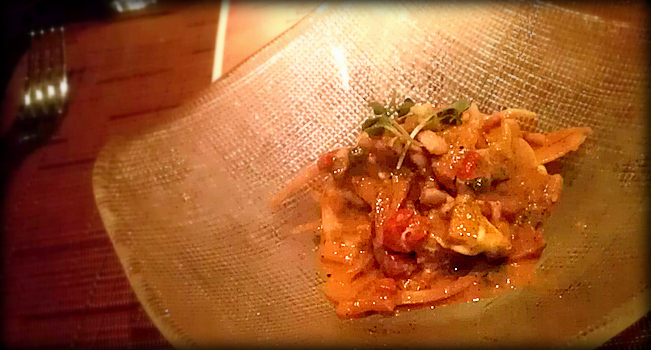 On the local front, the dishes are spearheaded by their newly appointed executive Chef Mauricio Legorreta. Chef Legorreta is helping to add a bit of local flair to Chef Waxman’s concepts. The dinner started with a seasonally prepared guacamole. The giant guac bowl came spiked with pomegranate seeds, blue cheese and smoked almonds. The acidity and the sweetness from the pomegranate worked well with the creaminess of the avocados and the tangy blue cheese, while not overpowering, helped to bring a pungent note that helped to accentuate some of the dishes subtler flavors. Everything was nicely rounded out by the smokey flavor of the almonds which also consequently added a nice textural element to the dip. 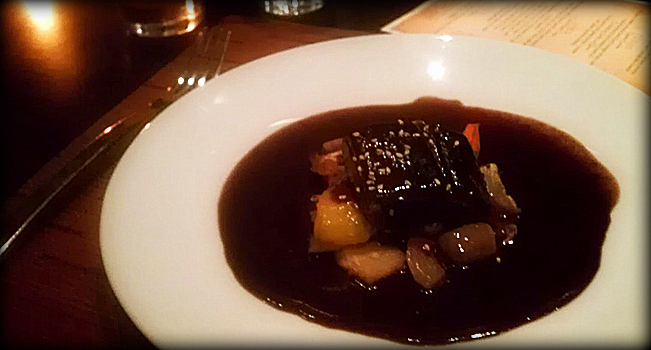 The dishes themselves offered a great burst of fall flavors that were perfectly akin to the dark and damp evening. We started with an oyster ceviche and even though I still hold true to my “the only way to eat an oyster is to slurp it out of it’s shell” philosophy, the overall flavor profile of the dish worked well. The oysters were marinated in a burnt orange vinaigrette that screamed fall. After the ceviche we were served a pretty simple garden salad, but the tomatillo based green goddess dressing, marked with a just a little background heat, was certainly something worthy of bathing in. The main courses of the evening came in the form of a taco trio and a stunning duck mole. The tacos were prepared to showcase a variety of seasonal flavors and preparations. The veggie taco was pure proof that vegetarian cooking can be just as refined and balanced as any meat based dish and the walleye taco was a great representation of fresh, crisp flavors. The braised lamb was a spicy, rich concoction that was the epitome of comfort food. The duck mole was truly a refined dish that delivered all of the nutty, earthy and spicy elements that you’d expect of the dish. If you’ve never had mole, you need to get out and find a place to try it. It’s a truly unique flavor that pairs extremely well with rich meats like duck or dark meat chicken. Dessert was represented by a pile of doughy churros with a trio of sauces. The cinnamon and sugar fried dough were a great way to wind down after an evening of intense eating and laughing. This dinner was a great representation of fall flavors. Some of these things you’ll find on their menu and some of them you won’t, but based off of what I ate last night, I have high hopes for what Rosa Mexicano has waiting in its wings.